The film was based on a non-fiction book by Joy Adamson who, although doesn’t appear in the film herself, is the leading character of the movie starring Virginia McKenna and her off- and on-screen husband, Bill Travers as George Adamson. The poignant movie follows Joy as she tries to rehabilitate one (Elsa) of three orphaned lion cubs she raised, so that she doesn’t end up in a zoo like the other two. 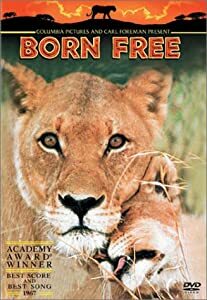 The movie won numerous Golden Globes and Academy Awards and even encouraged the starring couple, who were deeply affected by their movie, to set up the Born Free Foundation to conserve and rescue mistreated animals around the world. If you are inspired by the movie, Amanzi Travel offers a wide range of volunteering programmes to protect the animals of Africa. Again, this award-winning movie tells the real-story of a naturalist, Dian Fossey, who went to Rwanda to stop the poaching of the jungle’s gorillas. Dedicating her life to making the poaching of these animals illegal before it’s too late, Fossey (played by Sigourney Weaver) unfortunately was mysteriously murdered in her cabin in 1985. Her efforts, however, weren’t in vain, and the species was saved from extinction. Despite being a children’s film, FernGully offers a strong message about the damaging and devastating effects of pollution and logging. Avatar to date is the highest grossing movie of all time, but even so, some people don’t appreciate this Hollywood movie ‘preaching’ about issues surrounding imperialism and ecology. However, despite certain negative reviews, Avatar is still widely praised for daring to discuss such environmental and emotive issues, and so it should be. Although primarily a documentary, the film also discusses how global warming is affecting the world that we live in. What’s your favourite conservation movie of all time?